Organic Photochemistry outlines the principles, techniques and well-known reactions occurring in organic molecules and also illustrates more complex photochemical transformations occurring in organic chemistry. Many photochemical transformations convert simple molecules into extremely complex products with an ease not approached by the standard synthetic chemistry practiced in the laboratory. 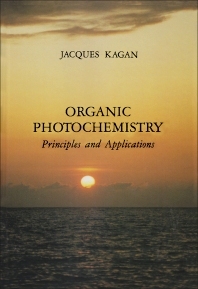 In the earlier chapters, the author outlines the principles, techniques and some of the well-known reactions occurring in organic molecules and later illustrates more complex photochemical transformations occuring in organic chemistry. Experimental techniques are included to encourage novices. Topics are emphasized where structural transformations can be formulated chemically. Practical applications are collected together. The book starts at a comfortably simple level with enough examples to provide an introduction to the diversity of photochemical reactions.